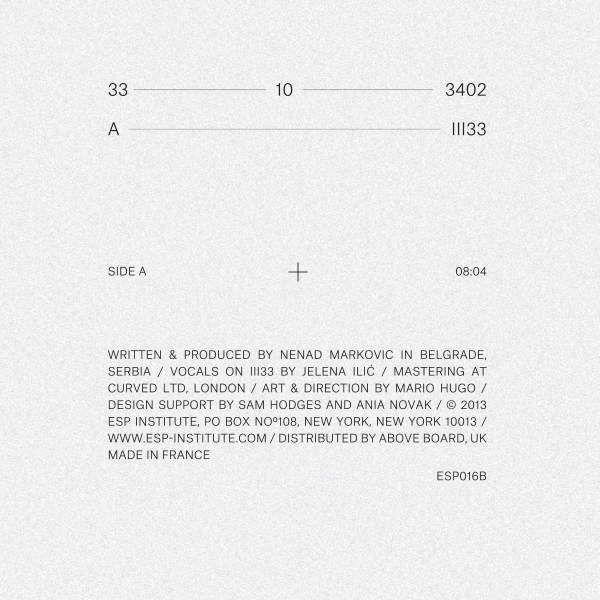 33-10-3402 is a code name for Nenad Markovic, an imaginative and limitless musician and producer from Belgrade, Serbia. This release is the second in a trilogy of opium den and whore- house inspired singles entitled Mecanica. 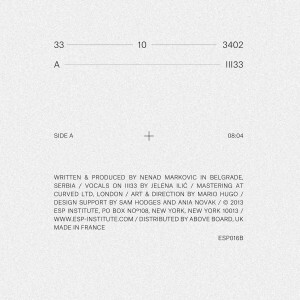 III33 is features a disorienting vocal, that repeats as if caught in a psychedelic cycle your mind cannot break, accompanied by stuttering percussive elements and metallic textures. Cool Down is a post-apocalyptic drum circle that keeps your groove alert as it moves between accent placement and eventually builds into a full force bad acid trip. Be careful with this record.